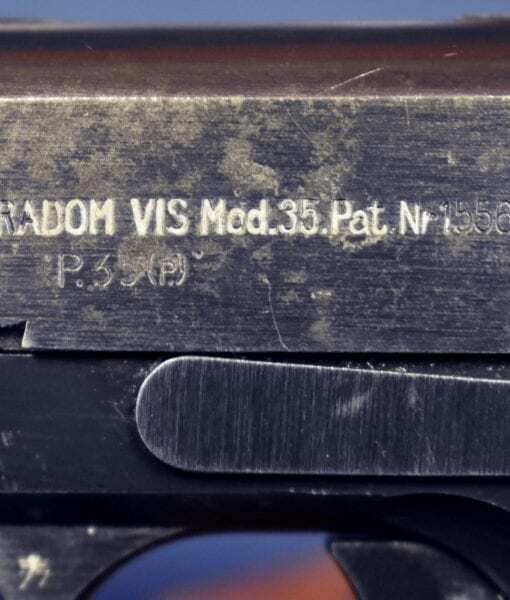 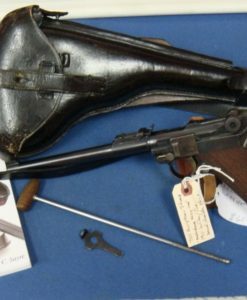 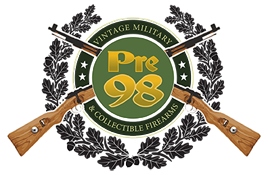 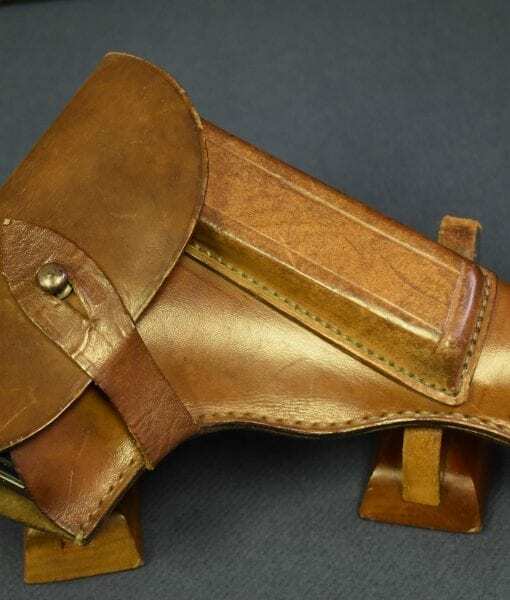 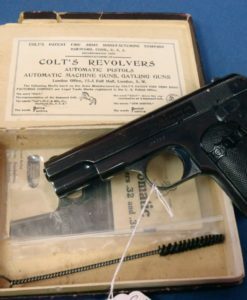 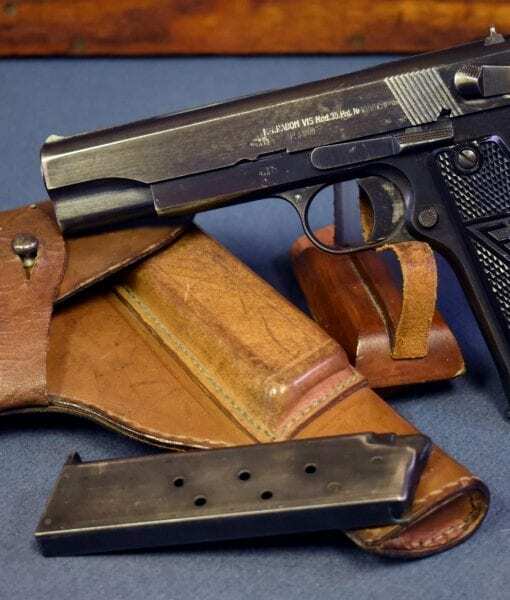 In 95% original nice condition, we have a top example of a vet brought back 1941 production slotted 3 lever variant P35(p) ViZ 35 Radom Pistol that is fully rigged out with a mint stunning holster and an extra magazine. 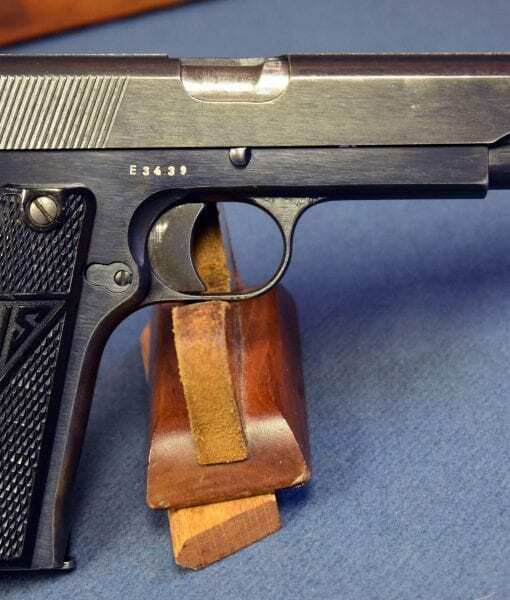 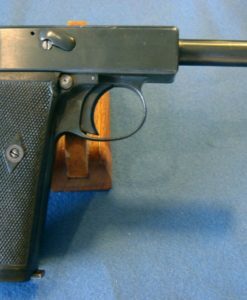 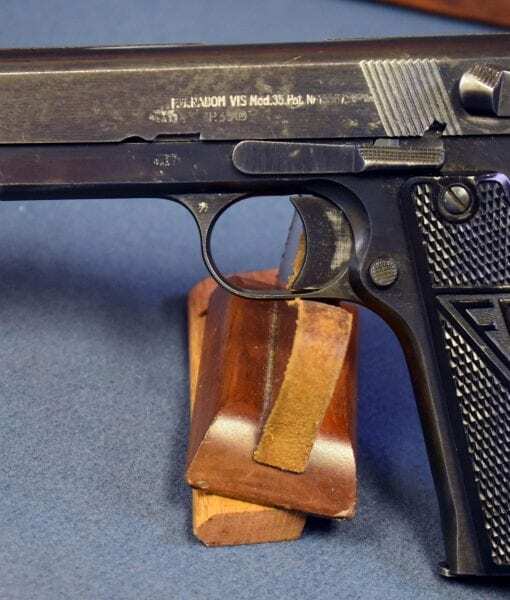 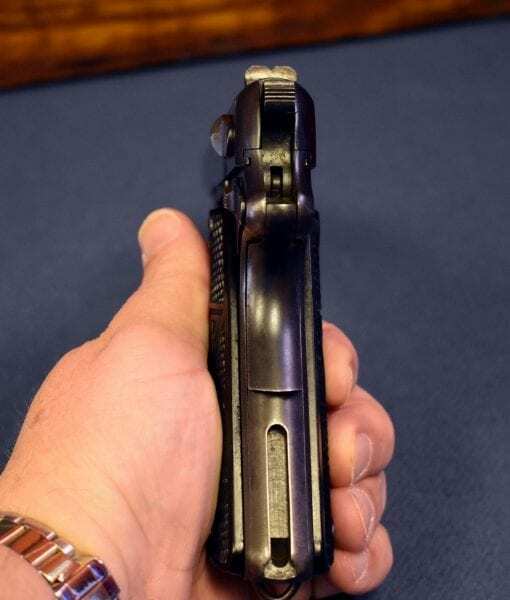 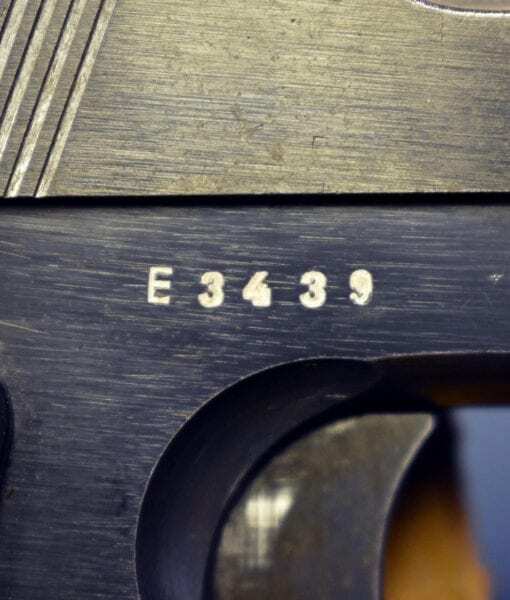 This is an early 1941 manufactured pistol in the first “E” production run. 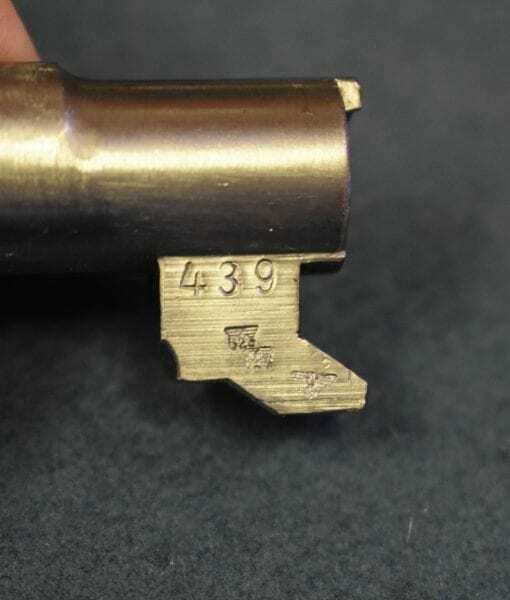 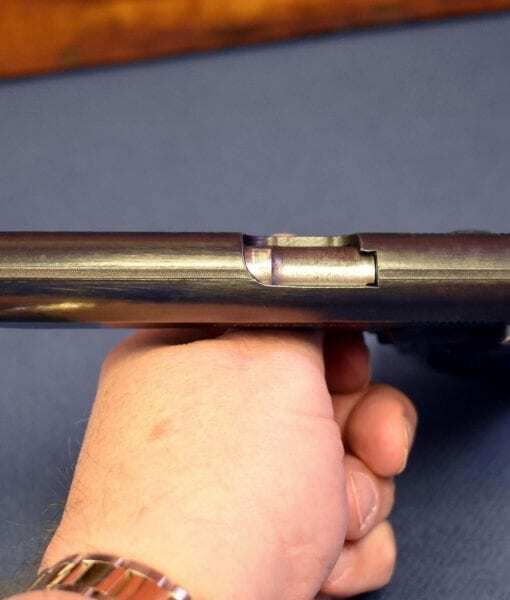 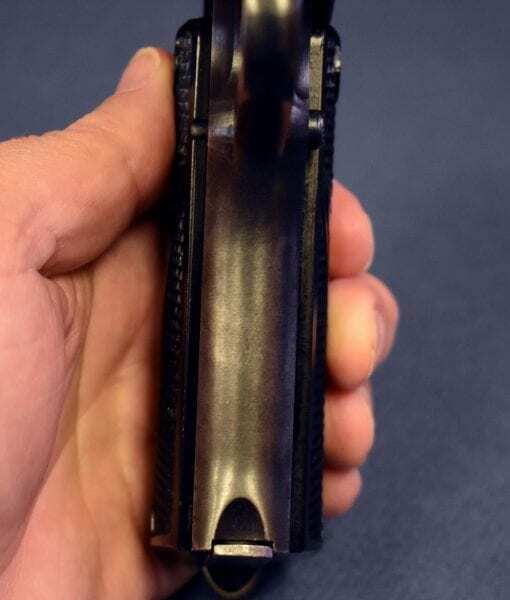 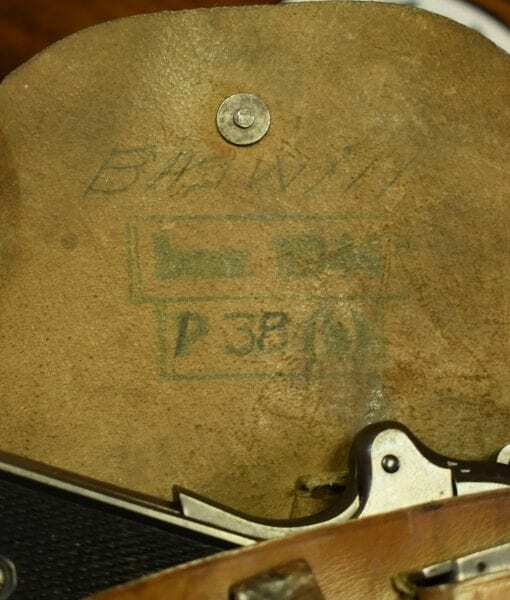 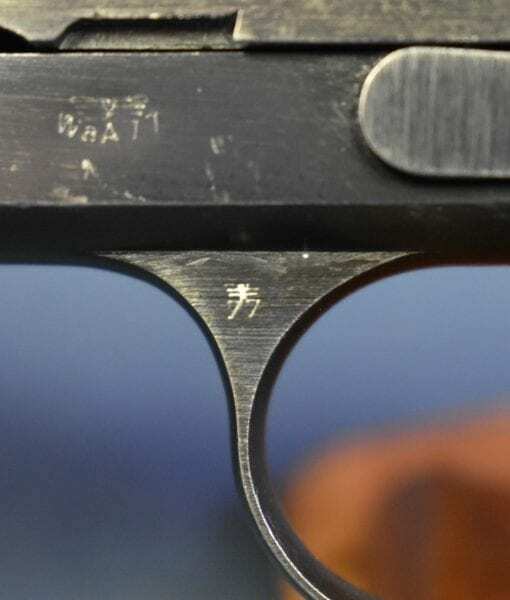 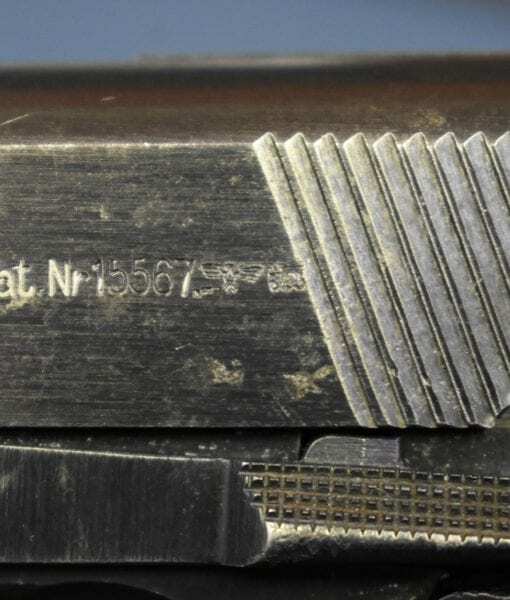 This pistol is all matching,(barrel slide and frame are numbered to each other) and the bore is in mint condition. 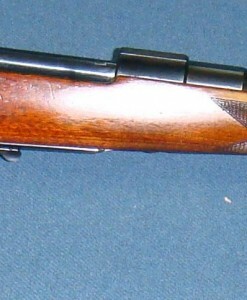 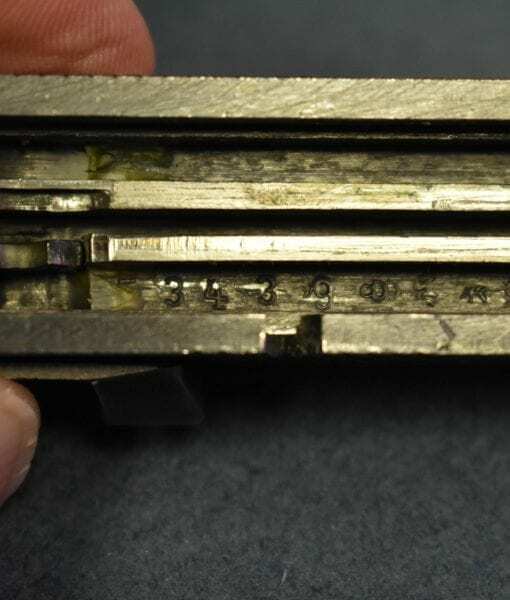 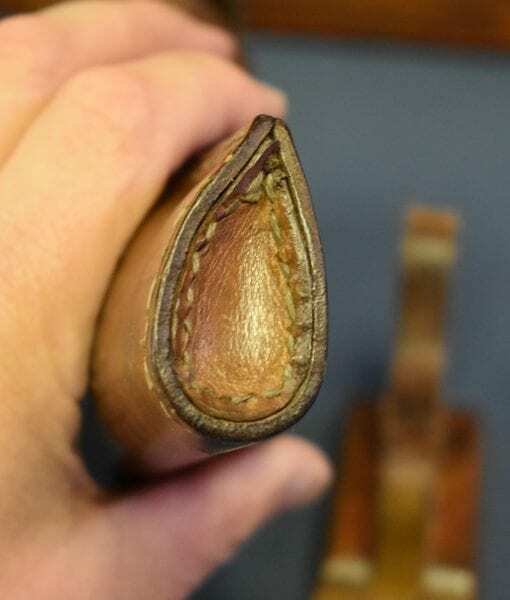 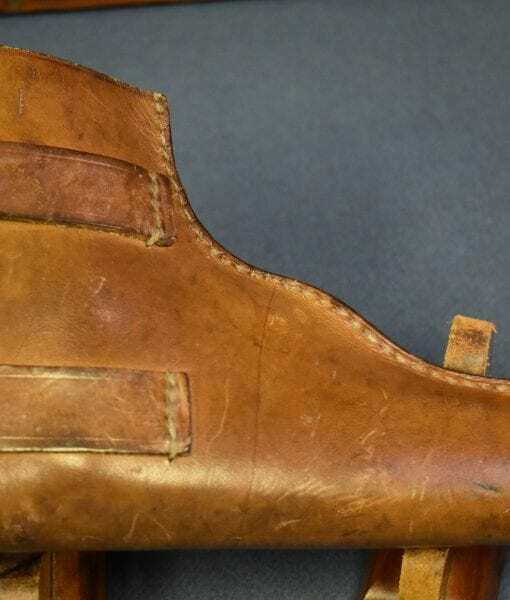 This is a very clean example of the slotted three lever variation.